As a travel writer I consider it my duty to provide helpful and insightful information about all things related to travel – travel ideas, travel destinations and travel topics – all sorts of stuff of critical interest to travelers everywhere. I’m a traveler and I’m on the road – alot. Knowing that hot dogs – often referred to as “Dawgs” by true aficionados – are high on every traveler’s gustatory priority list, it is, therefore, part of my mission to seek out, taste-test, and ultimately report on great Dawgs that I encounter while I’m on the road. So, think of this as sort of a Public Service Announcement for travelers in search of Great Road Dawgs. On a previous visit to Denver I discovered a wonderful and quirky gourmet dawg shop – Biker Jim’s. 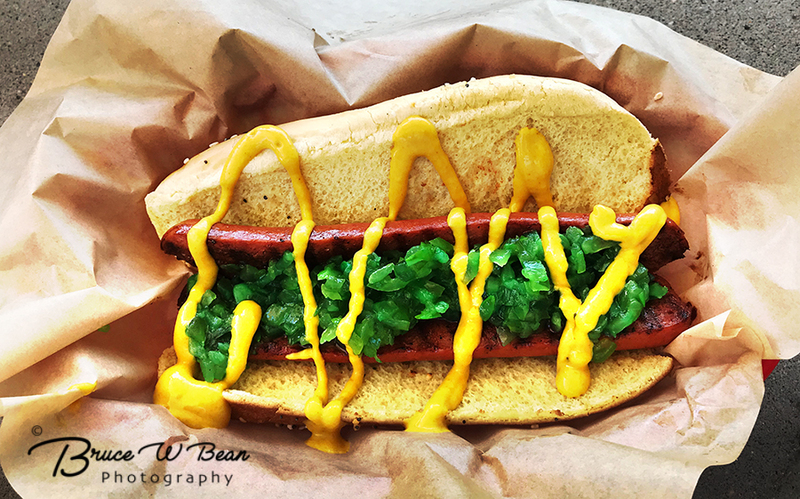 Located in central Denver, only a few blocks from Coors Field, it’s a definite “must try.” You can read more about it at – BIKER JIM’S GOURMET DOGS. Recently I returned to Denver and was determined to enhance the pleasure of the visit by sampling the goodies of another Dawg Shop. 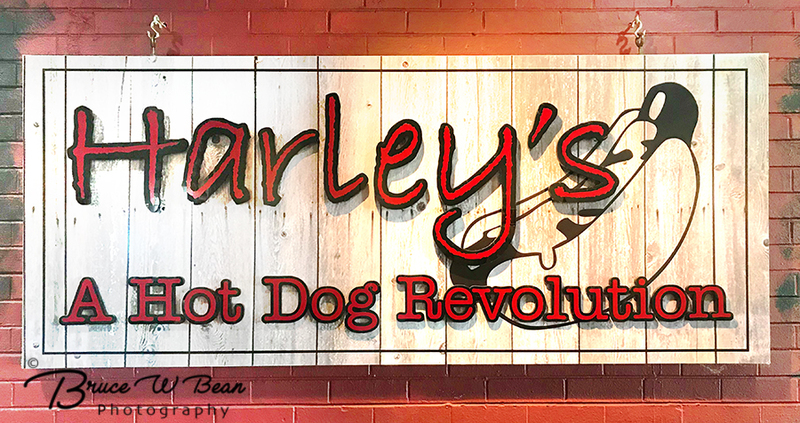 With the help of Siri and her trusty GPS directions I found my way to HARLEY’S A HOT DOG REVOLUTION. 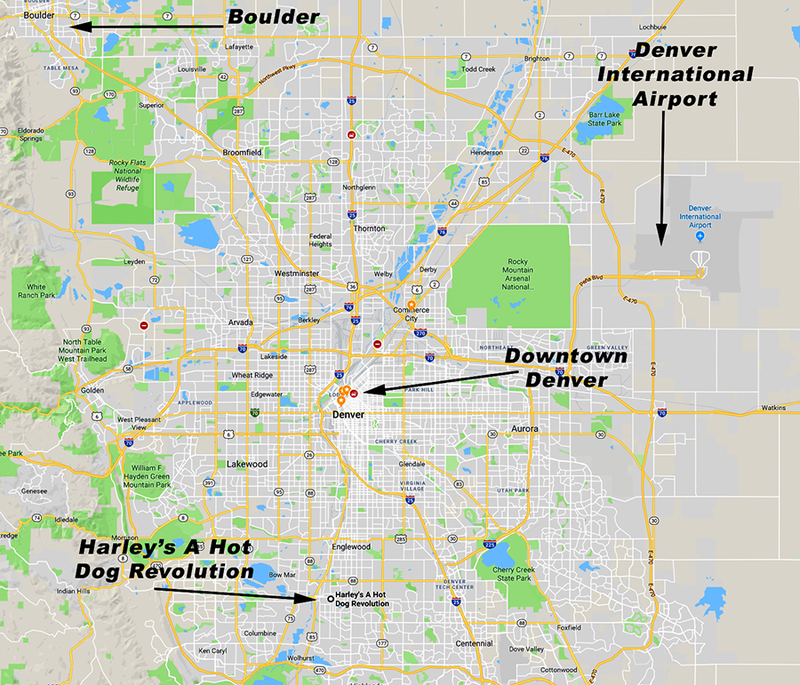 Harley’s is in Littleton, Colorado, in the southern portion of the Greater Denver Metropolitan Area. From the outside it’s a rather small and unassuming place, tucked away in the corner of a strip mall – right next to the local Sherwin Williams paint shop. You can read more about these and others including their ingredients at Harley’s Menu. I sampled two different varieties of Dawgs at Harley’s -a Classic Style Dog constructed from the “BUILD UR OWN” menu with relish and mustard, and The Eddie Spaghetti Dog ( “Italian sausage in a garlic toasted bun smothered in pasta, marinara and mozzarella” ). They definitely passed the taste test! Harley’s appears to be popular with travelers as well as locals. You can enjoy your dawg at inside tables or on their small outside patio area in the rear. 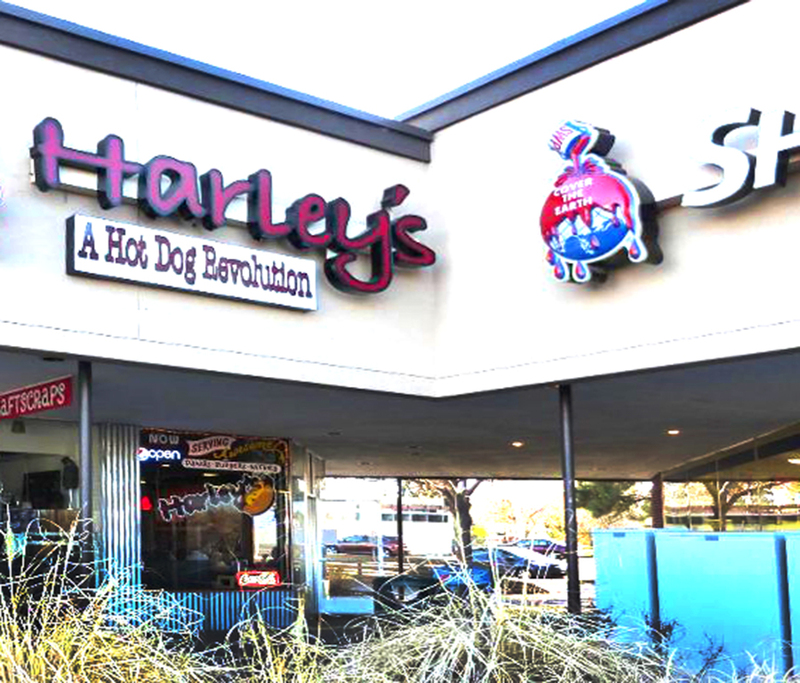 Next time you find yourself in the Denver / Littleton, Colorado area I suggest you stop in and sample the Dawgs at Harley’s A Hot Dog Revolution. I know I was glad that I did. 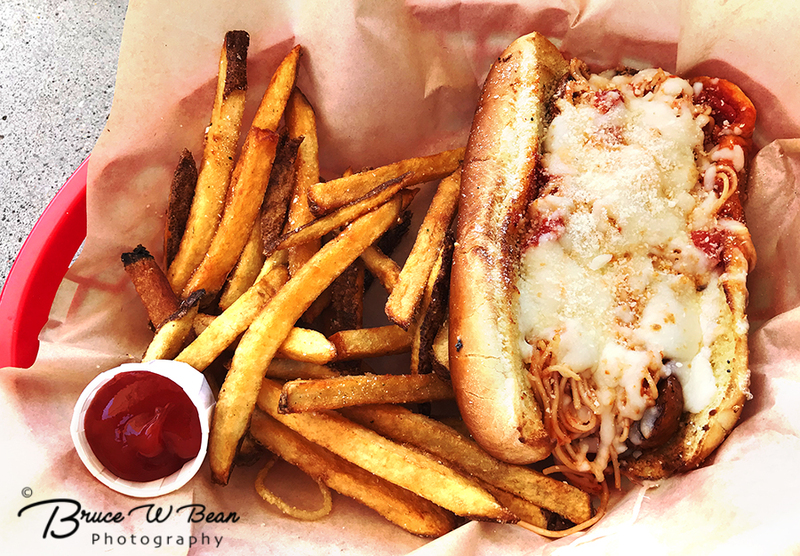 Try A Dawg At Harley’s ………. And Enjoy The Adventure!